“111 Days Replacement Warranty” is the fastest after sales service offered to the customers by any mobile brand, in India. We will replace the MAFE handset in 10 days, through our 650+ service centers across India. Through “111 Days Replacement Warranty” we portray a strong commitment towards satisfying our customers. Applicable only for 1 time Replacement in 111 Days. Models Covered under “111 Days Replacement” are Nimo, Lite, Energy, Pro+, Leo, X1, Micra, Aero, Legend, Mega, Glow, Trend, Hero, Super and the upcoming models. The Policy covers to replace the Hardware fault only. We will take 10 days time to provide the replacement unit. Any accessory (earphone, Charger, Battery, data cable) related calls will not be applicable under replacement clause of the Replacement Policy. Unit Replacement is applicable on the handset only. Complete Box will not be replaced. 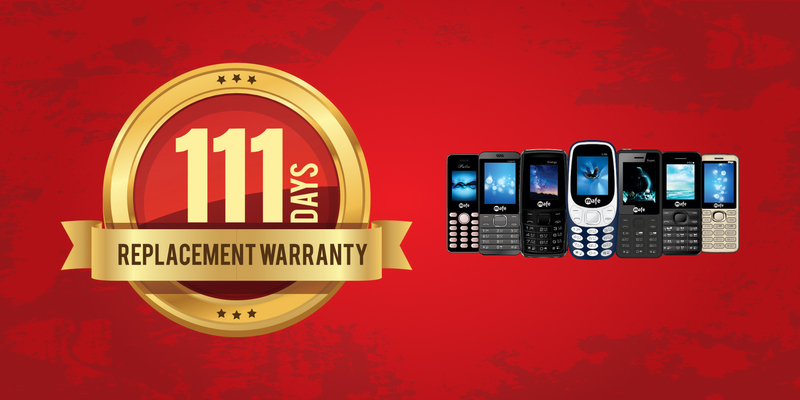 Replacement of the Handset is applicable for only 1 time in 111 days. After that the normal service policy will continue till 1 year from the date of purchase/activation. Out of warranty cases are not applicable for unit replacement. In Replacement Warranty Policy Physical, Liquid and Tampering Damages will not be covered. This policy is applicable for feature phones only; not applicable for smart phones. Policy is applicable for end user only. Eligible only if the device is under warranty. Company will only replace if the software process will not solve the problem/fault. Eligible if the handset needs a hardware repair of PCB and LCD only. Replacement Handset will be of the same or equivalent model. Mafe will not be held liable for loss of any saved/stored data in the handset that is either repaired or replaced. In the event of replacement, replaced handset will be deemed under warranty for the remaining period of time as per original IMEI. Mafe reserves the right to change/amend this policy, at will, at any time- without any notice.